Live sports continue to set the pace for online delivery. More live events are reaching larger audiences than ever before, and new services are helping connect fans to the sports they love. Cricket is the most popular sport in India by far. One of the most popular events in the cricket calendar is the Vivo India Premier League (IPL) tournament. The 60-day event will end on May 27th and is being streamed live in 6 different languages by Star India’s Hotstar. 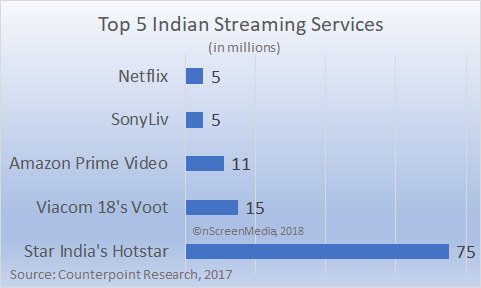 The streaming service is by far the most popular online video service in India, with 75 million subscribers. The second most popular platform, Viacom 18’s Voot, has just 15 million customers. On April 10th, the IPL match between Chennai Super Kings (CSK) and the Kolkata Knight Riders (KKR) was streamed by Hotstar using Akamai Technologies cloud delivery network. According to Akamai, the match hit 5.5 million concurrent viewers, setting a record for the company. The previous record, 4.8 million peak concurrent users, was set during the India and Pakistan ICC Champions Trophy Final in June 2017. Until recently, Formula 1 (F1) had followed a very conservative media strategy. 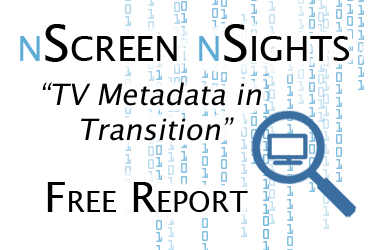 It worked exclusively with traditional broadcasters and pay TV operators to distribute the races worldwide. However, with the takeover by Liberty Global, the auto racing body adopted a more aggressive strategy. Last year it announced it would launch a live streaming app for F1 fans. Last week, details emerged of the approach the company would take. F1 TV Access – Will deliver live race timing data, radio broadcasts, and extended highlights. Pricing will be offered on an annual basis for between $70-$150, and as a monthly subscription from $8-$12. The service will not be available in all markets. For example, exclusively licensing arrangements means F1 TV will not be available in the UK. As well, pricing for the service will vary by market. To enforce its geographic pricing and licensing strategy, F1 will be working hard to ensure consumers outside of supported markets cannot access F1 TV. People commonly use VPNs to trick video services into thinking they are in a country where the service they seek is available. F1 says it will be using “best-in-class content security” to ensure people using VPNs cannot access the service. 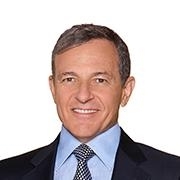 However, it appears Mr. Iger did not mean that ESPN+ is to become the sports hub. This week, a new version of the online ESPN app launched with a tab labeled ESPN+. The ESPN app appears to embody the fine line ESPN is walking between its traditional pay TV business and new online subscribers. Non-pay TV customers can use the ESPN app to access and subscribe to ESPN+. $5-a-month gets online-only customers access to a smorgasbord of sports. They can watch many out-of-market MLB and MLS games as well as a host of other live sports like Top Rank Boxing, PGA Tour golf, and Grand Slam Tennis. What they will not be able to access is in-market baseball and soccer, as well as other major sports like NFL and NBA carried by ESPN pay TV channels. For the full ESPN app experience, consumers will still need a traditional pay TV subscription. Live sports continue to set records, with Akamai delivering 5.5 million concurrent streams in India. More mainstream sports are becoming available online. Live F1 motor racing launches next month. ESPN+ brings a host of live sports online, though you will still need a pay TV subscription for mainstream and local games.